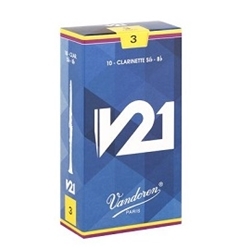 The V21 reed combines the conical shape of a 56 rue Lepic reed with a V•12 profile. This unique combination makes all registers of the clarinet more accessible with warmth and a depth of sound. It will allow you to play with amazing presence and immediate response.